In a world where there are many different forms of communication available to everyone, town of Union Highway Superintendent Chet Kupiec still prefers good old-fashioned face-to-face conversation. Whether it is an employee who has a concern, or a town resident that has a complaint, Chet has found that the most effective form of communication and most comfortable for him is to look each other in the eye and talk. Chet has been in office for 3-1/2 years. He was hired for the job by the town board, not elected, and his appointment is renewable each year. Before being hired as highway superintendent, Chet's title was assistant general highway foreman, where he worked with a crew maintaining roads and heading up snow removal efforts for the county. Chet's 23 years of experience working for the highway department for Broome County made him an ideal candidate for the superintendent's job, which was made open when his predecessor, Don Battaglini, retired after 15 years of service. The job also dictated that the candidate needed to be a resident of the town of Union. Chet grew up in the town and was thrilled to get the opportunity to serve as highway superintendent in his home town. Tracey Road Equipment is a one-stop shop with every truck body or heavy piece of equipment that a municipality or contractor could ever need. Chet's typical day starts at 6 a.m. and runs at least until 4:30 in the afternoon. 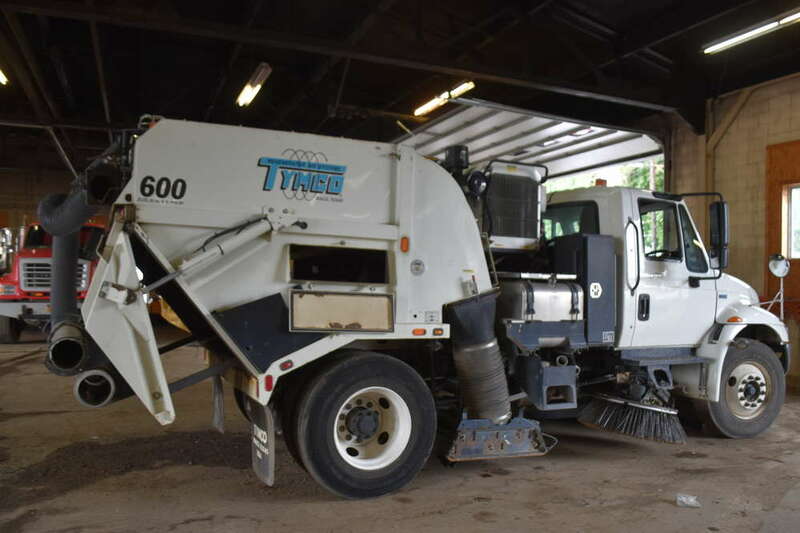 Due to the large number of road miles maintained (248), the town of Union can easily justify the investment in this Tymco sweeper, which was purchased in 2014. The winter is a whole other story. Chet is typically out at 2 a.m. during the winter months checking road conditions. Snow removal is usually done in two shifts, one running from 6 a.m. to 2:30 p.m. and the second running from 2:30 p.m. to 11 p.m. During snow emergencies, they run two 12-hour shifts. During Chet's time working with the highway department, he's been faced with two flooding events, the first of which occurred in 2006 and the second in 2011. In 2006, Broome County, and particularly the Binghamton area, experienced a terrible flood, the likes of which most people have never seen. The floods that returned in 2011 were significantly worse. Fortunately, there was no loss of life anywhere in Broome County. 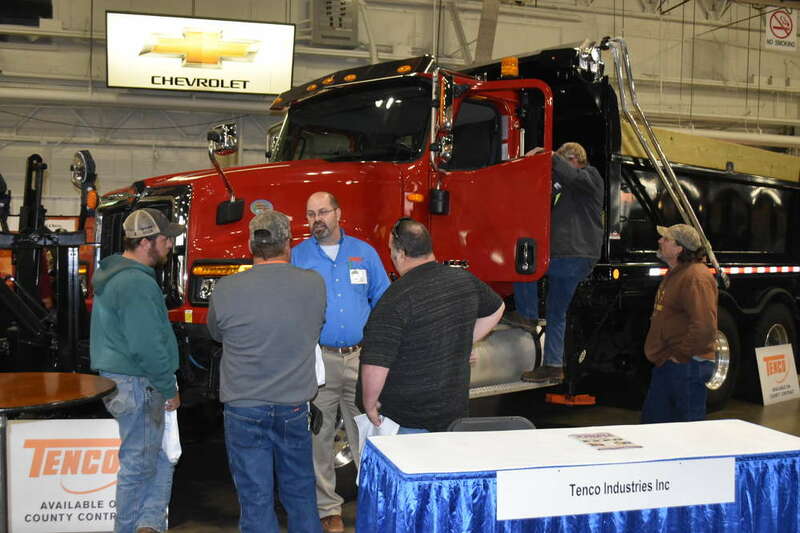 Tenco’s extensive product line includes heavy-duty snowplows, wings, spreaders, combination dump bodies, snow blowers and airport brooms. “We worked for a significant period of time with no power,” he said. “Culverts and roads across the area were destroyed. With the help of FEMA and the National Guard, we rescued many people and pets. Our water supply was disrupted and contaminated. It left our area a mess. 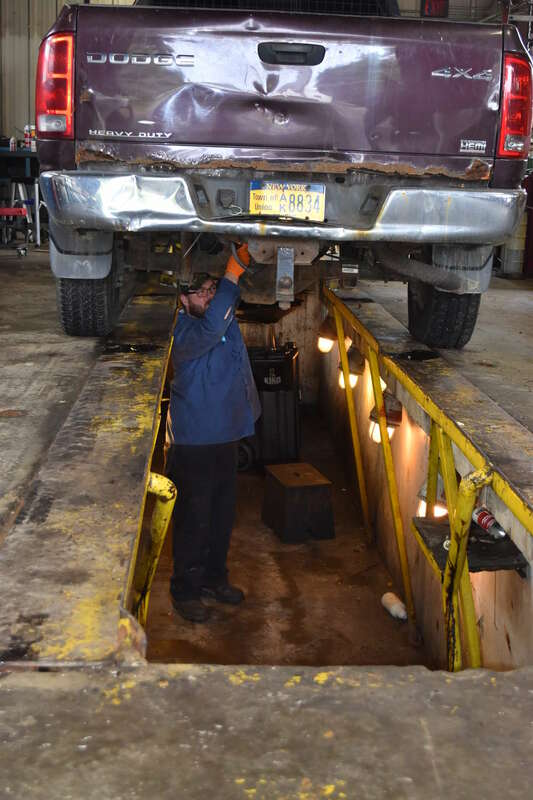 The town of Union is responsible for the maintenance of its own over-the-road trucks plus the town's refuse vehicle fleet and all vehicles operated by Parks and Recreation. 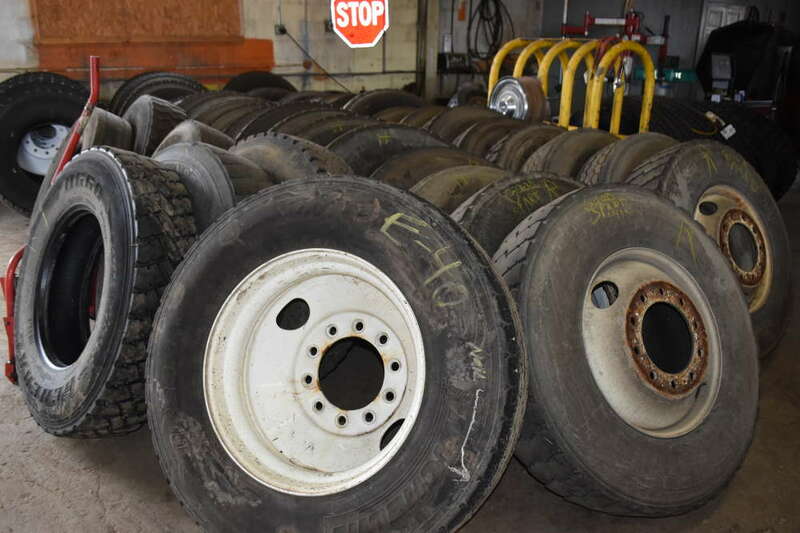 As a result, the town's garage keeps a very large inventory of tires on hand, and changing tires is nearly a full-time job. As each tire is changed out, the rims are painted to maintain a professional look for the fleet. The experience Chet gained during these catastrophes was invaluable in his future position as highway superintendent. It’s chow time! 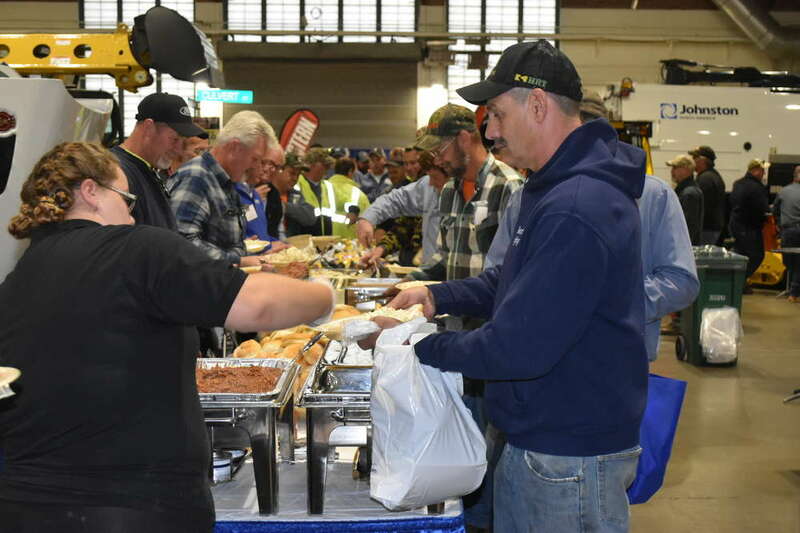 Show attendees are treated to a delicious barbecue lunch, which was sponsored by Stadium International Trucks, Tracey Road Equipment, Trux Outfitter and Vantage Equipment. Chet has been moving in the direction of having an all Mack truck fleet supplied by Beam Mack and equipped with Viking-Cives bodies. In all of Chet's future equipment purchases, he is looking toward standardization of the fleet to allow for more effective parts stocking and ease of service and maintenance. Chet is currently in the process of spec'ing out a couple of new single-axle trucks that will be equipped with live body stainless steel truck bodies. The live bodies allow for quick conversion from sand and salt spreading to material hauling. Chet said he rarely puts equipment out for local bid; instead, he tries to make use of the OGS, NJPA and county piggyback contracts whenever possible. Despite being constructed in 1953, the town of Union's garage has been well maintained and contains many enhancements that would be the envy of many other garages. Here, a technician services the fluids on one of the town's pickup trucks from the garage's oil pit. Chet is very proud of the department's equipment maintenance program. “We do all our own maintenance work and most of our own repair work,” he said. “Our parts department includes nearly 10,000 pieces in inventory, so we try to keep ourselves in a position where all common items are on hand. These maintenance programs also help us receive top dollar when it's time to turn the inventory. 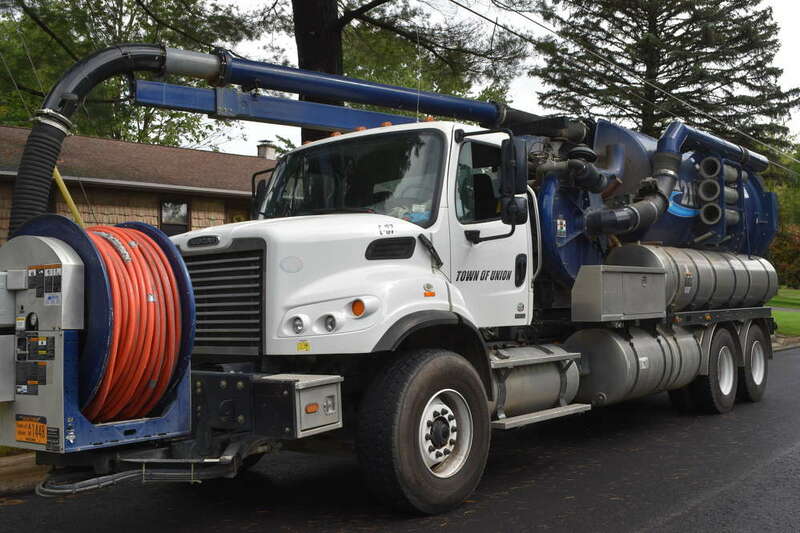 The town of Union highway department also is responsible for maintaining all the town's refuse trucks, as well as any vehicles from the parks department, sewer department, building and grounds department. 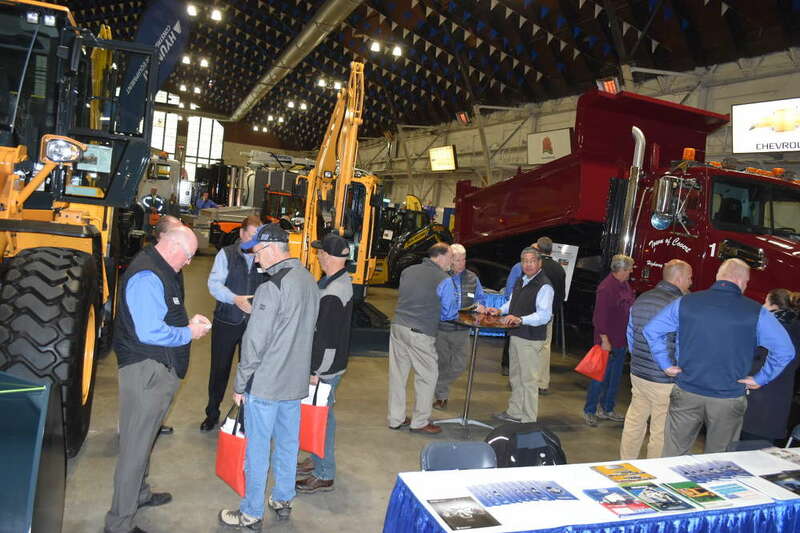 Its equipment inventory includes 16 plow and dump trucks and five double-axle municipal trucks, as well as 12 pickup trucks, and 29 pieces of construction/road building and road maintenance equipment. Maintenance of all traffic lights also falls under the highway department jurisdiction. To accomplish this, the town has an electrician on contract and a dedicated bucket truck. A fluid dispensing system is in place, giving each service bay access to a variety of greases and engine fluids, improving shop efficiency. The town of Union is responsible for 248 lane miles, many of which are city streets and the majority of which the department paves and maintains. “Our engineering department determines 12 to 15 months in advance what streets and roads will be rebuilt and/or resurfaced,” Chet said. “At about that time, all area utilities, including village water, town of Union sewer, Verizon and NYSEG, are notified so that they can arrange for their needed preparations. Necessary curb and gutter repairs are typically made in advance of the paving projects. While the floods were among Chet's worst days on the job, he considers the shared press conference held with other Broome County highway superintendents in July 2018 to be among the best days. 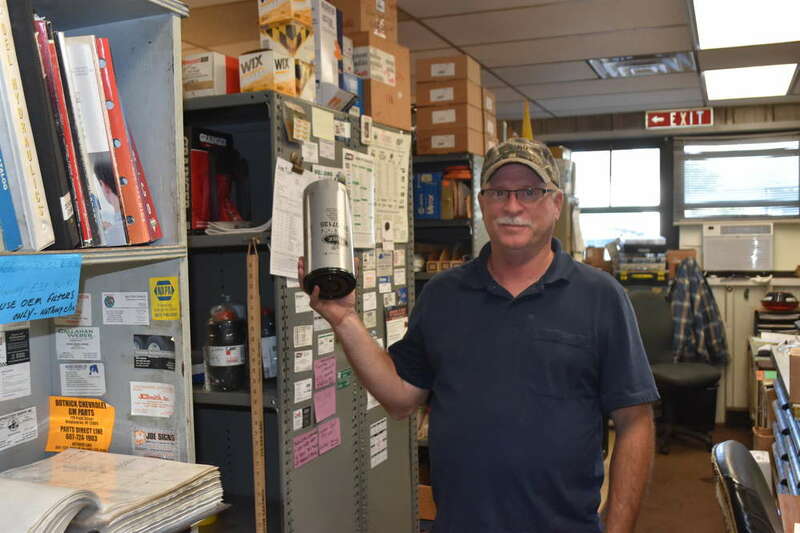 The oil filter held by Parts Manager Jim Carr represents just one of the nearly 10,000 parts in inventory. The press conference (Superintendent's Profile, September 2018), held to thank N.Y. State Sen. Fred Akshar for his role in procuring shared services equipment for Broome County, highlighted the key role the town of Union had in the arrangement. 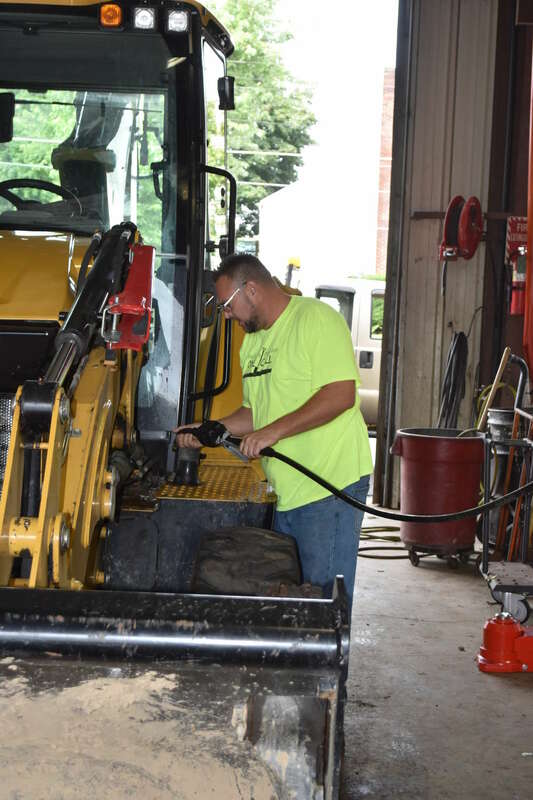 These shared services and the purchase of some machines from Milton Cat were going to be stored and maintained by the town of Union and delivered to neighboring townships, as needed. 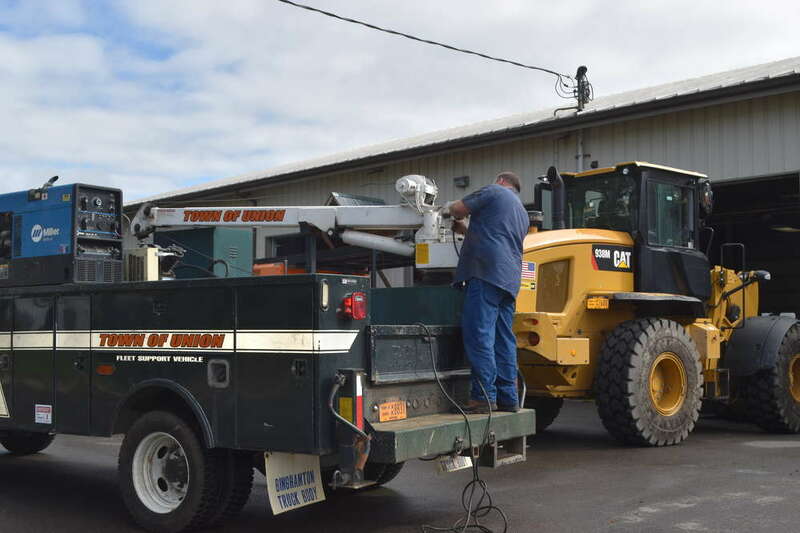 The town of Union took the lead in the purchases of this equipment because the town budget and the town itself was large enough to be able to handle the funding of the equipment along with a significant grant from the State of New York. Over the next few years the town is eyeing a few major projects, one of which would be the purchase and installation of a new fuel farm. This is in conjunction with a management software system the town recently invested in called Manager Plus, which helps the town better monitor and manage everything from its fuel consumption, road maintenance programs, parts inventory, and much more. Another project under consideration is the construction of a new town garage. The current facility was constructed in 1953, and although many contemporary features have been added to the building, the town of Union has definitely outgrown the current facility. 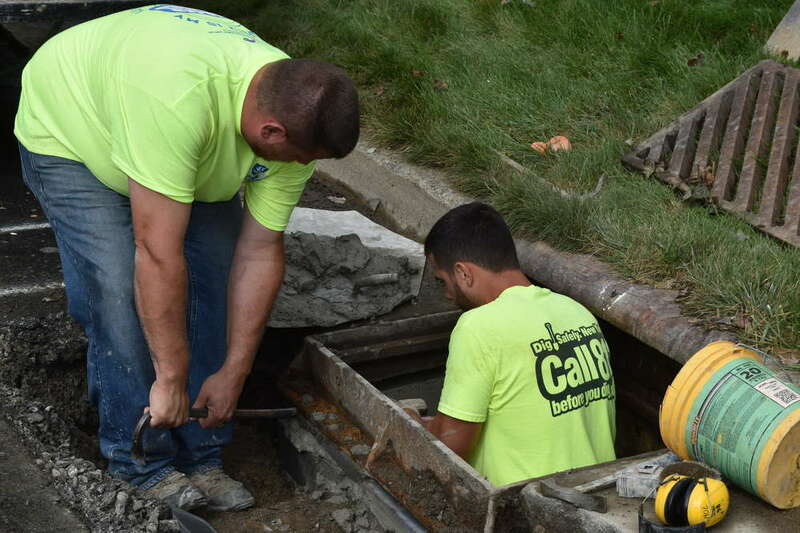 As a part of the department's ongoing paving program, as each road in the township is milled and resurfaced, catch basins (there are 5,000 of them) are dismantled, repaired and/or replaced as necessary. The Town of Union, N.Y., is located in Broome County, and according to the 2010 census has a population of 56,347. Broome County is located in what is referred to as the Southern Tier of New York State. The town is located in the south-central part of Broome County, just west of Binghamton, N.Y. The town of Union is primarily made up of the western suburbs of Binghamton containing the villages of Johnson City and Endicott. The town of Union was established in 1791 and was at that time a part of Tioga County; Broome County had not yet been formed. In 1888, George Harry Lester started purchasing large parcels of land in the town of Union. Lester came from a family with a long history of manufacturing shoes and set about building a large shoe factory in Johnson City and called it the Lestershire Boot and Shoe Company. In 1892, the company was purchased by H.B. Endicott from Boston, Mass., and through a series of financial maneuvering, the company eventually became known as Endicott Johnson Corporation, a major worldwide manufacturer and distributor of shoes. At one point, the company employed as many as 20,000 people until the company's exit from the area in 1998. During the 1960s, IBM had a major influence on the area, employing thousands with good paying jobs. IBM has since left the area and BAE Systems is currently a major employer. BAE is involved in the design, manufacturing and upgrade of aircraft, combat vehicles, electronics and ships for the military. Lockheed Martin also has manufacturing facilities within the town of Union, again, manufacturing for the military items such as Black Hawk helicopters. Spiedie sandwiches originated from Broome County. The sandwiches, which are featured in restaurants, street vendors and supermarkets, also are a big hit a backyard barbecues. The name, which comes from the Italian spiedo, meaning kitchen cooking spit, originated with Binghamton's Italian immigrant population in the 1920s. Augustine Iacovelli from Endicott, N.Y., is believed to have popularized the spiedie by introducing them in his restaurant, called Augies, in 1939. The original sauce, which he called Zuzu, was wine vinegar, water, lemon juice, garlic and mint. His spiedies caught on so well among the local railroad workers and shoemakers that for years every little corner grocery had a spiedie stand on the street in front of it. 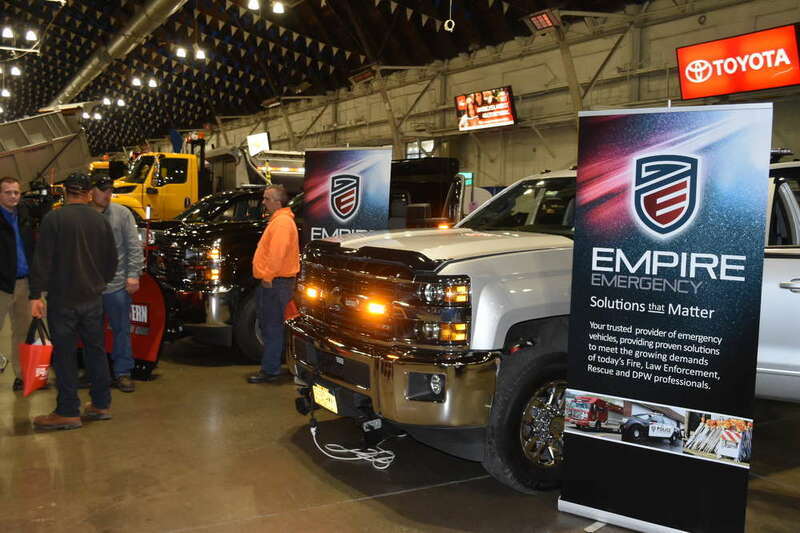 A fully-equipped service truck, including a crane, allows the town of Union to perform numerous service and repair projects that might otherwise need to be sent out to a dealer. Originally made from lamb, they are now made with virtually any meat, including chunks of lamb, pork, chicken, beef or venison, that has been marinated for days in a tart sauce and then grilled on a metal skewer, usually over charcoal or gas. The traditional way of serving is between sliced Italian bread with extra sauce poured on top. The spiedie, skewer and all, is then inserted in sliced Italian bread. The bread is used as a sort of mitt, wrapping around the meat. Pull out the skew and you then have a wonderful and delicious hot sandwich. In 1983, a few families got together and argued over who had the best spiedie recipe in Binghamton. To put an end to their friendly rivalry, they held the first Spiedie Fest Cooking Contests in 1983 and 1984. After a successful contest in 1984, a small committee formed and it was decided to create the first Spiedie Fest and Balloon Rally at Otsiningo Park with about five hot air balloons, some local music and a small children's area. The goal was simple — to host a safe, fun, affordable event in which the community would be proud. The first year had an attendance of approximately 4,000. The area now hosts what is considered one of the top hot air balloon rallies in the country, drawing more than 100,000 admissions each year. The annual three-day community gathering features hot air balloons, live music and hundreds of varieties of spiedies cooked and sold by many vendors. The weekend of entertainment and fun always concludes with the Spiedie Cook-Off on Sunday. A Freightliner vacuum truck purchased from Tracey Road Equipment is used for flushing culvert pipes and for cleaning clogged lines. In 2001, Spiedie Fest was recognized by the Library of Congress with a Legacy Award and today a Spiedie Fest display resides in the Library of Congress in Washington, D.C. The same year the festival also was recognized with an award from Syracuse Parks & Recreation as the Event of the Year for New York State. In 2005, the festival was named one of the 100 Destinations in the United States by Destination Magazine. The Food Channel ran an episode on the Spiedie Fest and Balloon Rally featuring the spiedie cooking contest and is still running today. Spiedie Fest has been named one of the top events by the Press & Sun Bulletin Readers' Choice Awards every year since the contest began, and since the inception of Spiedie Fest, it has been able to donate more than $1 million to organizations and causes in the Broome County area.